"Dreading the idea of having food waste sitting on the kerbside rotting away in the summer and attracting rats and foxes, I decided to look for a better solution." Although I’ve never composted before, when the local council decided to issue brown food waste bins the decision was made for me. Dreading the idea of having food waste sitting on the kerbside rotting away in the summer and attracting rats and foxes, I decided to look for a better solution. I’m an amateur gardener with a small house and long 120ft garden. I’m very green fingered and enjoy nurturing and making the garden look lovely. I HATE looking after the lawn though! My search began online but I found most compost bins were unattractive and difficult to empty; waste needed removing, mixing and replacing. I’m also short of space so a traditional heap was out of the question and I didn’t want to attract rats anyway. I then happened upon an advert for the HOTBIN and rest is history. I purchased my HOTBIN in October 2013, it was both easy to setup and easy to use. All of my shredded documents go in, food waste (excluding exceptionally moist waste like cucumber) and 75% of my garden waste. Being a patient sort I chop it all up into small pieces to aid the bins digestive system! With two years of use behind me I can safely say that getting the mix right is important! 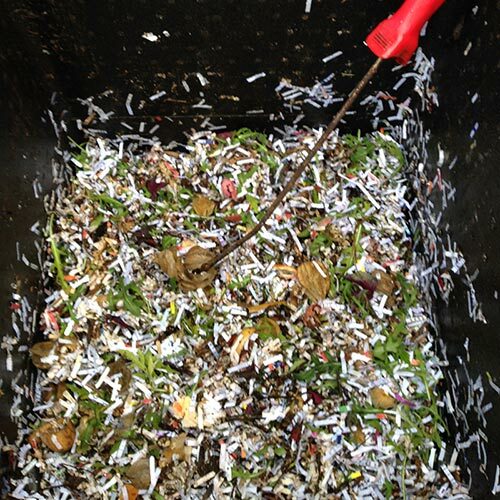 I had a very wet bin early on which was soon fixed with the addition of plenty of shredded paper and card; I find a 50% mix of shredded paper and green or food waste works well. he highest temperature I’ve ever reached is about 60°c by the lid thermometer and we are able to compost all year round. Every batch of compost after our initial “wet HOTBIN” has been great. Slightly sticky, brown and moist the compost takes 3 months to produce in the Summer and a bit longer in the Winter. 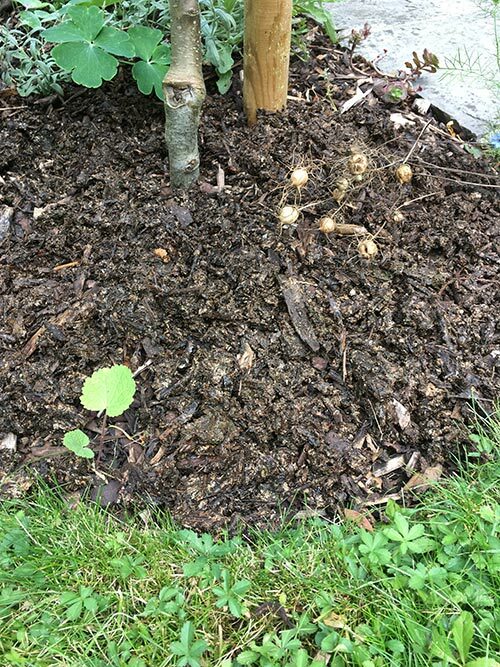 In the Winter the compost gets used as mulch letting the worms drag it down and in the Spring/ Summer I dig it into the soil and feed all the plants. I would agree that using the HOTBIN has made me feel like I’m reducing the amount of waste going to landfill. No longer do I put fluted thinnish card or any paper unless it is glossy in the recycling bin and the green bin takes only that which can’t be cut up fairly small or is too wet to put in the HOTBIN. The council provided food waste bins are now used to hold some of the bulking agent close to the HOTBIN. 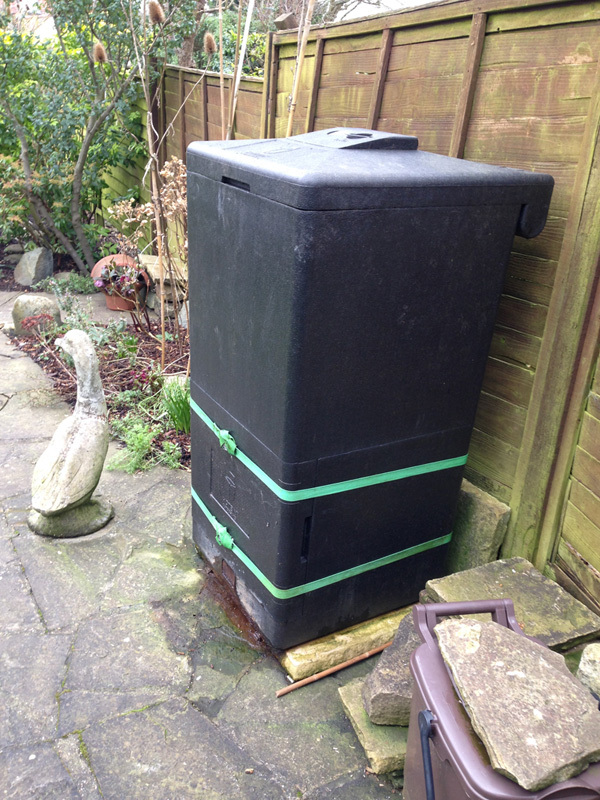 I have complete confidence in the HOTBIN, it’s a nice clean method of composting and would recommend it over a traditional heap anytime. 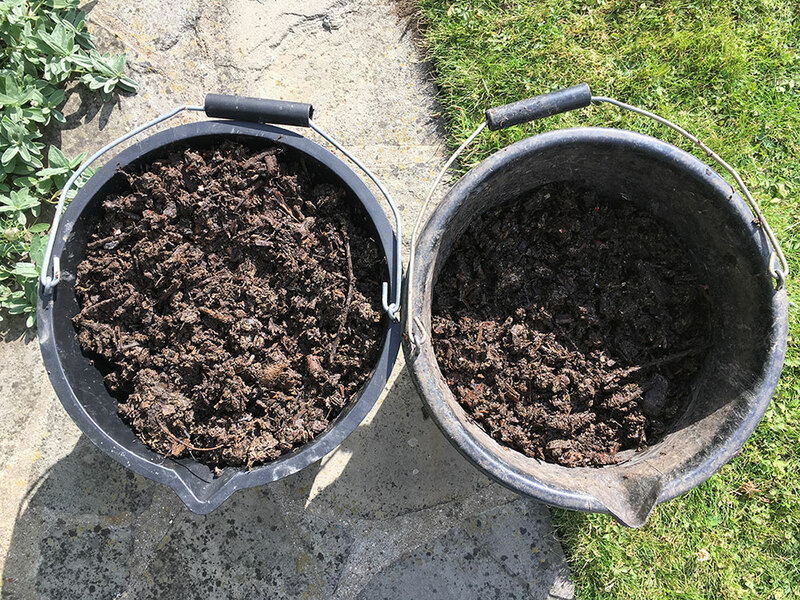 Compost this year has been ready to empty in around 6-8 weeks time and has been "truly wonderful stuff"
It really was the best batch made so far which I attribute to all the grass cuttings-it rained so much earlier in the year that the grass just grew and grew and grew.